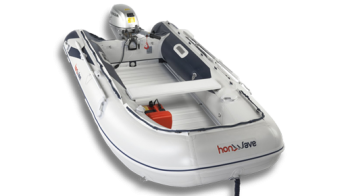 The High Output alternator delivers a solid 44A, which will keep a battery with a 35A charging capacity in top condition; and it’ll keep all your on board electronic equipment powered up too. We think something that works beautifully should look great too. The finish is stunning in Honda aqua marine silver. The sleek, sculpted design is liquid smooth. It looks good just fixed to the back of the boat, but in the water – where it really belongs – it looks even better. Above the water both engines are super-slim for a four-cylinder 4-stroke. The removable engine hood fits snugly over the engine and all its working parts to provide excellent engine protection throughout. Below the water the hydrodynamic gear case has a low drag coefficient. You can see the difference right away – it’s so slim – providing better fuel economy at higher speeds. 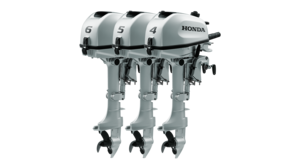 Attach a four-cylinder engine and experience smooth, satisfying power – and a whole new level of excitement. The wow factor comes from the Single Over-Head Cam, 16-valve 1.5-litre engine. 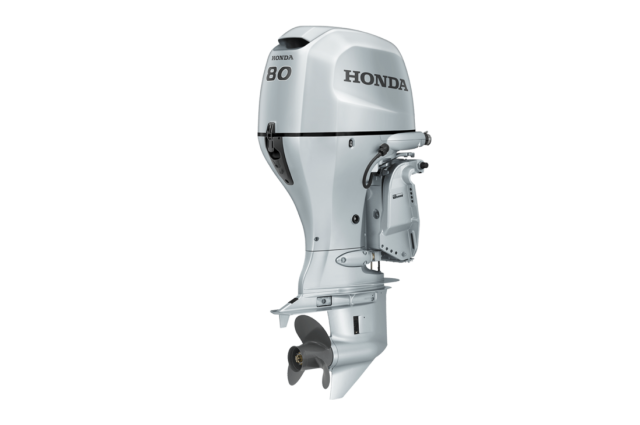 It’s got PGM-Fi electronic fuel injection for easy start up, and Honda BLAST™ for powerful acceleration. Then there’s VTEC™ on the BF100. When it’s combined with ECOmo, it not only gives you outstanding fuel economy, it delivers exciting performance at higher revs. These engines are light and compact, and with NMEA2000® connectivity you can see why they’re a big favourite with powerboat enthusiasts everywhere.